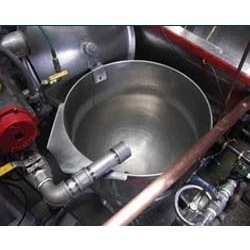 We are offering an extensive series of Chemical Equipment. Each SS Fabrications circular evaporator has been fully-engineered to yield maximum heat transfer. Combining computer aided design (CAD), along with years of experience in the refrigeration industry, you can be assured that every evaporator leaving our factory has been completely designed with your requirements in mind. “Mac one of the leading shaking machines manufacturer and exporter from delhi, india. We offer high performing shaking machines that are fabricated using industrial grade stainless steel materials. chemical dosing equipment (pump) are used for dosing of chemicals in the large swimming pools. Chemical like liquid chlorine is used for disinfection (killing of bacteria, algae), alum and soda ash are used for cogulation means to convert the suspended particles in the flocks (heavy particles) which would be retained in the pressure filter or settled in the bottom of the swimming pool. With sincerity and hard work of our professionals, we have carved a niche for ourselves in this domain by offering Barometric Condenser. This condenser is widely used where load conditions are stable and there is little air leakage. Offered condenser is manufactured using high quality material and highly developed technology. We also offer parallthrin 1. 6% liquid vapouriser. These comes in two variants. viz, Tulasi and Neem based liquid refills. The vapouriser machine is highly energy efficient and conserves electricity. 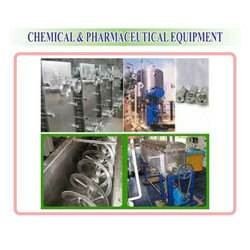 We are the leading entity in the industry, highly engaged in offering the best quality range of Chemical Equipment.